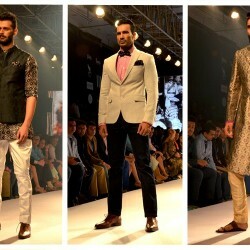 It is a treat to the eyes to watch the smouldering models flaunting their designer lehengas exclusively tailored by the best fashion designers of India. The tasteful design, the crisp material, and the neat embriodery done on the quintessential lehenga are everything to die for. If you are a fashion forward bride then you must check out these designer lehengas from which you can take an inspiration for your bridal look. 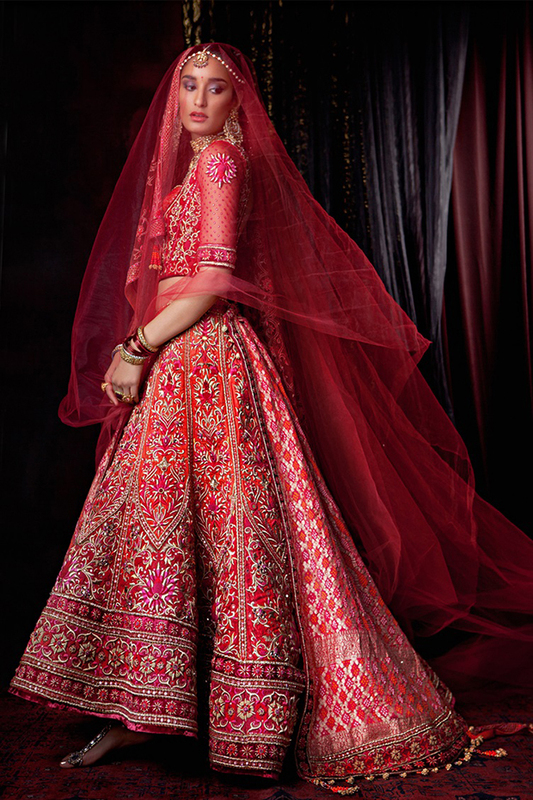 If you are fond of embroidery then you should go for this designer lehenga as it is elegant and as well as traditional. Those who are fond of fish cut lehengas should not have a miss at this one as it is subtle and has been neatly designed. Karishma Kapoor’s flawless skin is complementing the soothing emerald colour of the lehenga. 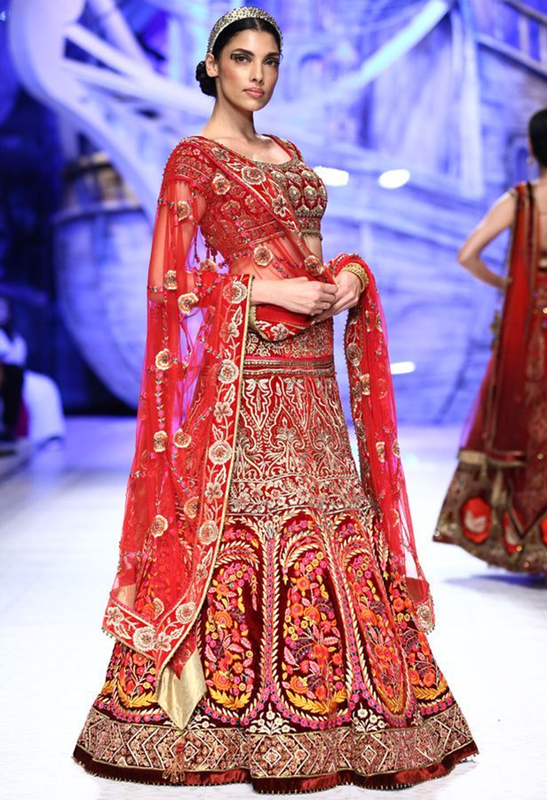 If you love detailing then you should select this kind of lehenga. 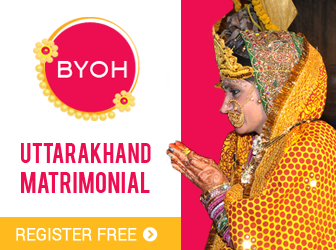 This mustard and pink coloured lehenga can make any bride look beautiful. It will look perfect if adorned with gold jewellery. 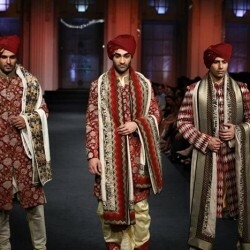 Who said Indian brides can only wear red? If you want to look ultra glamorous then go for this one, as it will give you a softer yet gorgeous look. Sonam Chauhan rocking the Lakme Fashion Week in a couture black and golden lehenga. 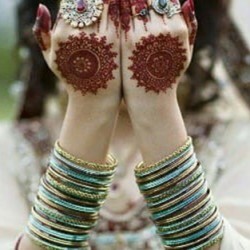 Every bride can rock this look as the colours are absolutely ravishing. 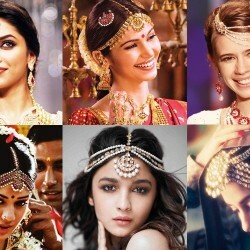 After Soha Ali Khan’s picture perfect golden lehenga look now many fashionable brides want to embrace it. Pink colour is a girls best friend and one can never go wrong when a bride is wearing a designer pink lehenga that has been custom tailored for her. All shades of blue are pretty if stitched perfectly that brings out your beauty and extenuate your natural curves. To look as serene as the sea and as tranquil as the clouds drifting above, go for this chic white and golden lehenga with full sleeves blouse. Rock your Big Day and make your own style statement. You can also wear golden or multi coloured jewellery with this pristine white lehenga which will make you appear a bit dressy.